Mintzer starts the book with his upbringing, talking frankly about being the “fat” kid at a time before the endemic obesity surge and the social isolation that he and his sister experienced living in a rural setting with a mother who did not drive. Unlike most memoirs of runners, there was no magic moment when he discovered he was fast. His legs were not his ticket off the ranch and out of St. Louis County. Instead, he describes himself as the last one picked for any sport. Running did not factor into Mintzer’s life until his college years, and at his second college at that. Having scraped by and survived a year at the University of Missouri-St. Louis, he transferred to Arkansas State. Fortune paired him up with a roommate who was both a runner and a positive advocate for running, one who encouraged Mintzer in his desire to become a runner. Mintzer chronicles his evolution as a runner, from his first 5K to first (and nearly last) marathon to ultras. In the process, he became an acolyte of the Galloway style of running. In the world of running, there have always been the two competing forces, the first of pure speed and the other in the joy of participation. Jeff Galloway’s programs are built to bring runners into the fold of the community by creating conditions that allow them to participate even if they’ll never set a record other than their own. Mintzer had found his niche. The message woven into Mintzer’s story rings clear; if he, Rand Mintzer, could do it, so could any of us. As a reward, he also writes of the pleasures derived from the run, whether long or short. 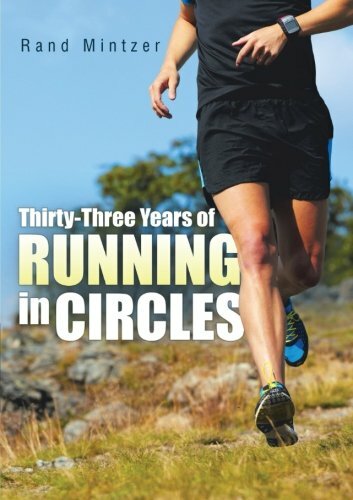 The second half of the book is devoted to specific advice to new runners. Old hands will already recognize most of it, having learned either from other books or from the trial of miles. He touches on shoes, offering eminently sensible advice. So too, with clothes, as he takes us on an evolutionary tour from the old gray sweats of the seventies to the colorful combinations available today. As an accessory, perhaps nothing defines a runner as much as his watch, or lack thereof. Mintzer has a special affection for timepieces, and he spends a chapter detailing them. Throughout Book II, Mintzer offers a range of advice, from hydration, nutrition, and the wealth of almost-overwhelming levels of information available. My favorite quote from this section shows Mintzer’s sense of community to runners: “Do not turn a thirsty runner away.” Having seen my fair share of desperate runners and given water, not to mention having had the favor return on an occasion or two, nothing speaks more to the running community than the sense of sharing and support. Still running in circles, on tracks and looped trail courses, after all these years, Rand Mintzer runs his own race while encouraging others to step out and run theirs.